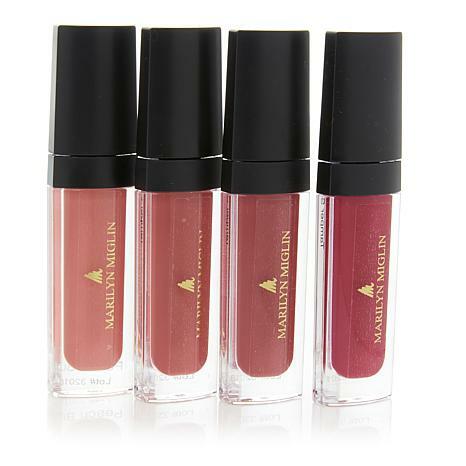 Four gorgeous lip glosses created by Mairlyn Miglin, with shades to suit any mood. 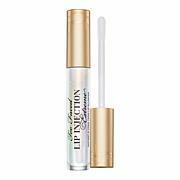 You'll love the luscious-looking lips you'll see! MM Burnt Coral Lip Gloss .14 oz. MM Nocturnal Rose Lip Gloss .14 oz. 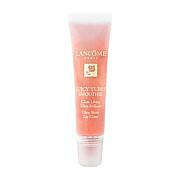 MM Peach Buff Lip Gloss .14 oz. 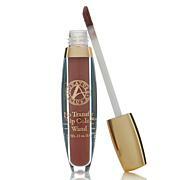 MM Wild Berry Lip Gloss .14 oz. Haven't had time to use them yet. colors are so pretty, but will the lipstick stay put? These are Liquid Lipsticks, NOT Lip Glosses. The product name is misleading. These do NOT have a glossy feel or appearance. I've been addicted Marilyn's glosses for ages... I've given them as gifts & urged friends to try them. Not this year. These are just OK as a liquid lipsticks. I agree that they're dry. You need a gloss over them. Price is reasonable and colors are nice. Just be aware of what you're getting. I bought these but had to return them, they dried out my lips too much! What just as the other said it dries out your lips . I've been waiting for this for a while now was I disappointed for me and y friends that I get it for whao! Pdo something quick I still want it but not this one go back to your old recipe. Thanks. This is not the same formula as Marilyn's other lip glosses. Just as the other reviewer said, it leaves your lips feeing dry (starts out creamy, after it drys your lips no longer feel moist). Please Marilyn go back to your old formula, why fix something that wasn't broken?